Who eats peanuts? Besides the small package of nuts that have been disappearing from the nation’s airlines for the past few years, it’s very rare to hear someone say, “I’d really love some peanuts.” Peanut butter is pretty popular, especially among young children and starving college students who consume about 2.5 peanut butter and jelly sandwiches a week (estimated guess). 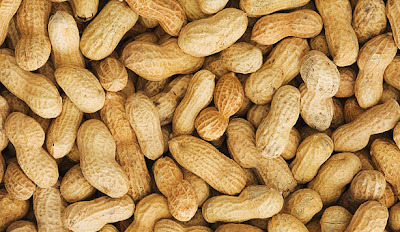 Inexpensive, easy to find, and simple to eat, peanuts should be added to everyone’s diet. Peanuts may not be considered a super food for your diet, but they should be a strong contender. They have more antioxidants than broccoli, which are nutrients and enzymes that are good for the body. Also packed with magnesium and vitamin E like other nuts, peanuts are good for the skin. They are high in fiber and protein, both of which are necessary for a healthy body. Protein is essential because it builds the muscles in the body. Protein repairs broken tissues and is one of the nutrients that feed the brain. Protein also helps maintain the blood sugars of the body, which makes peanuts a great snack for diabetics or late night snackers. Fiber helps to clean out the digestive system, cleansing out the body to keep in the nutrients it needs. Carol Wilson, nutritionist and health service manager for Family Services in North Carolina, says peanuts and peanut butter is great for kids and adults. She also had a lot of ideas for how to make easy peanut meals for everyone. Of course not everyone likes eggs, or has the time to make them. 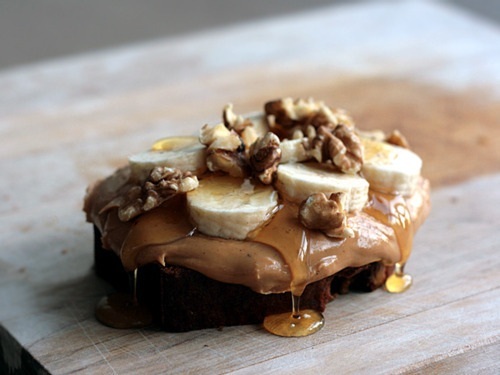 A banana dipped in peanut butter, or a tablespoon of peanut butter added to an early morning smoothie, is also great for the body. The classic peanut butter and jelly sandwich will never get old and neither will peanut butter crackers, while the childish snack of “ants on a log,” or celery with peanut butter and raisins to be exact, is always a good option. Eating Well has a list of healthy peanut recipes for any peanut enthusiast. But remember, peanut butter is a processed food, so grabbing a handful of peanuts will do the trick!